Well, news of my secret comics project has hit the internets. Yes, that’s a lot of exclamation marks, but that’s how we roll in the comics industry. I’ll be handling story and script, Carlos Magno will be doing the art, and Ian Brill will be editing. It’s an ongoing comic, and the first issue comes out in April, with covers by Karl Richardson and Chad Hardin. I’ll be able to talk more about this soon, but I can say we’re going to show people a Planet of the Apes they’ve never seen before — the coolest, meanest Apes we can make — while respecting everything that’s come before. I’m stoked. I mean, Stoked!! Written by Daryl Gregory, art by Carlos Magno, covers by Karl Richardson and Chad Hardin. This is great news! 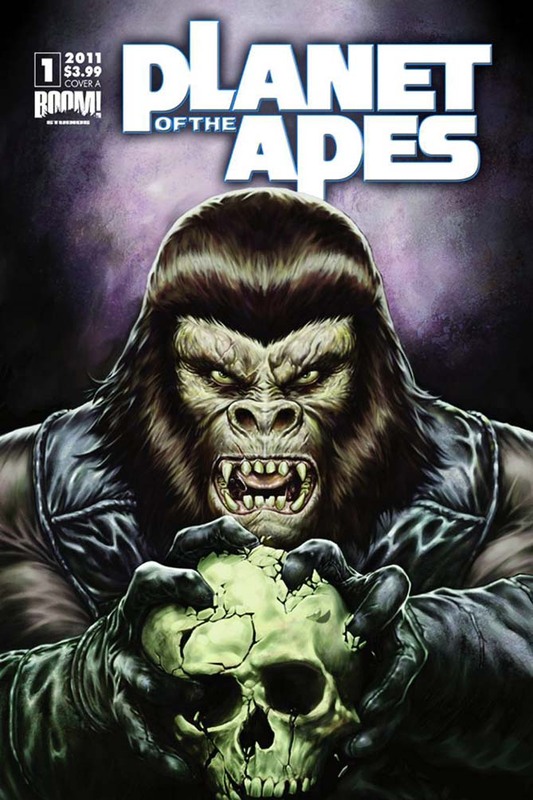 There are many, many POTA fans who are very excited about this. You’ve inspired me. I just put the 1960s/1970s POTA films in my Netflix queue. Planet, Beneath, Escape, Conquest amd Battle. Please telle you worked in one line from Stop The Planet Of The Apes I Want To Get Off. Tell me. I meant tell me. Stupid phone.